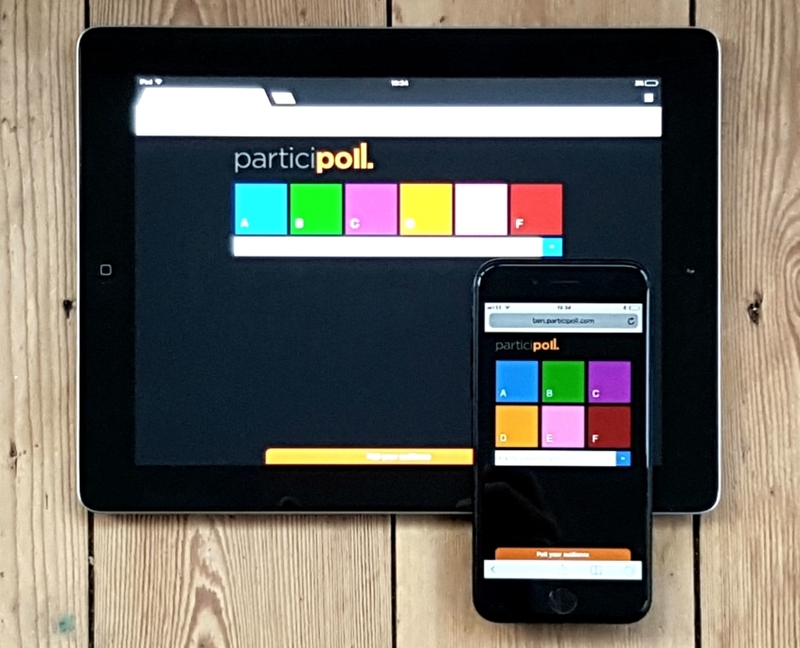 This a quick guide tells you how to use ParticiPoll to poll your audience – make your interactive and memorable in minutes! 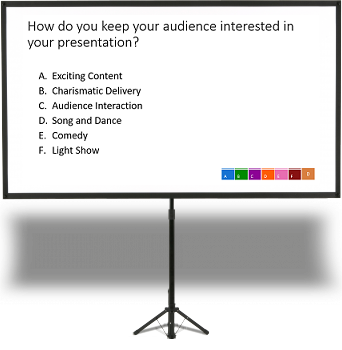 Create a PowerPoint slide with a question and up to six A-to-F answer options. 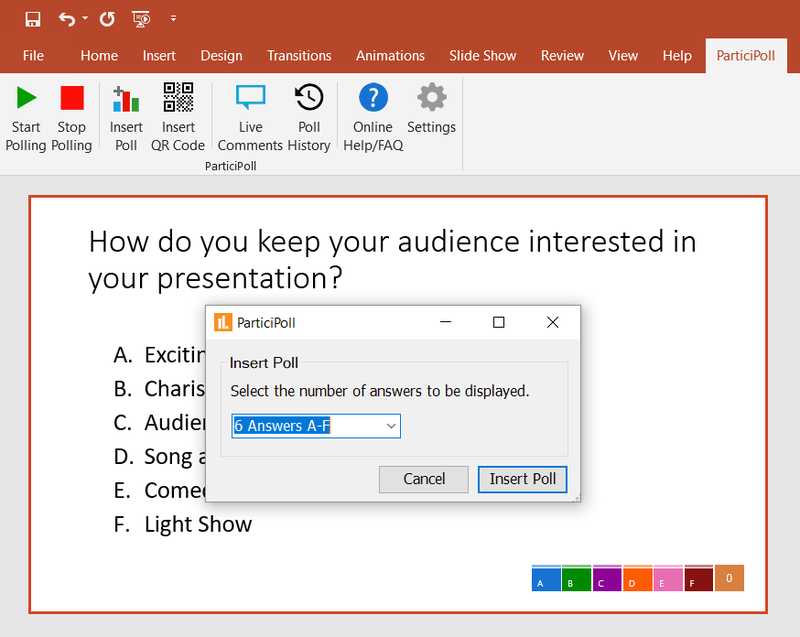 Press “Insert Poll” on the ParticiPoll toolbar in PowerPoint and select the number of allowed answers. A results bar will be added to your slide. 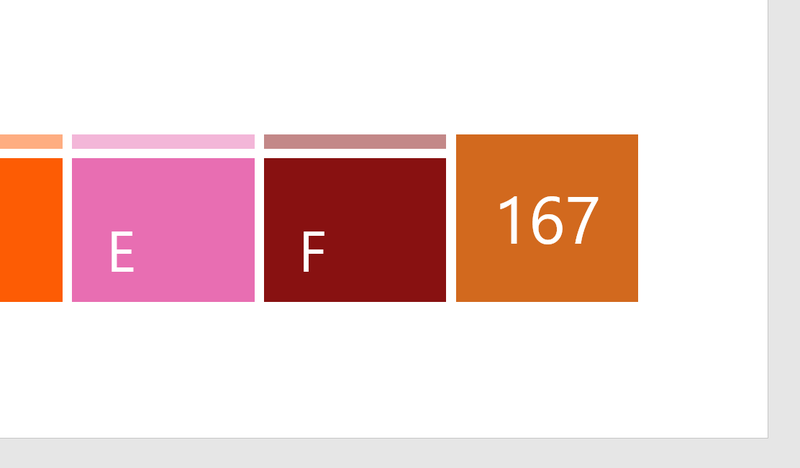 You can add polls to as many slides as you like. Press “Start Polling” on the ParticiPoll toolbar and login to start the polling session. 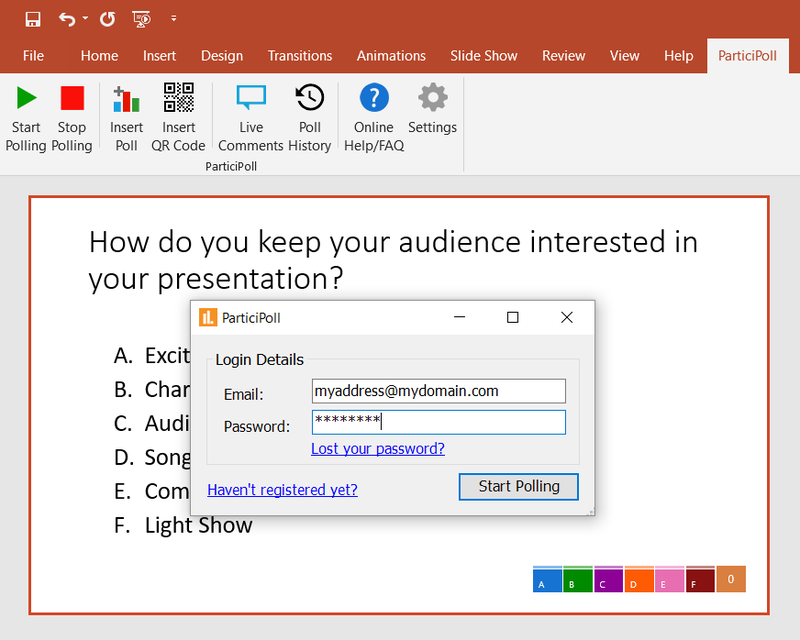 Start your presentation the normal way by pressing F5 or the “Start From Beginning” button on the PowerPoint Slide Show menu. Send the audience to your voting page on their devices (any web browser will do). Think about displaying your voting page address or QR Code in your first slide. You can customise your voting page! 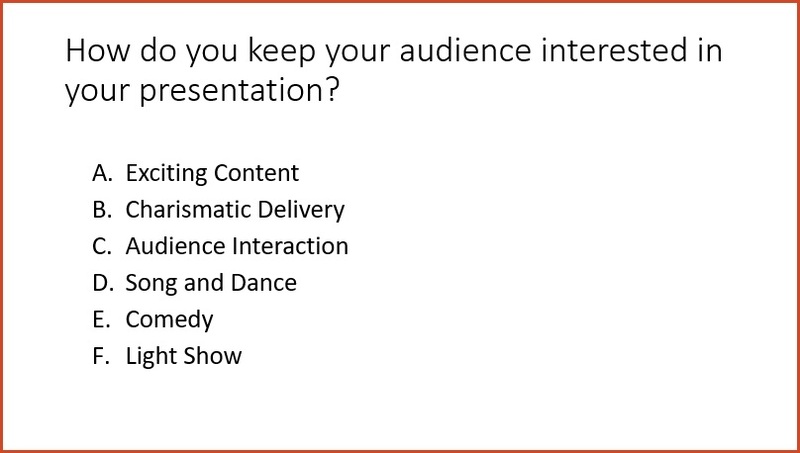 When you reach a poll slide in your presentation, your audience can start voting. You’ll see a live count of the votes cast (PC only). 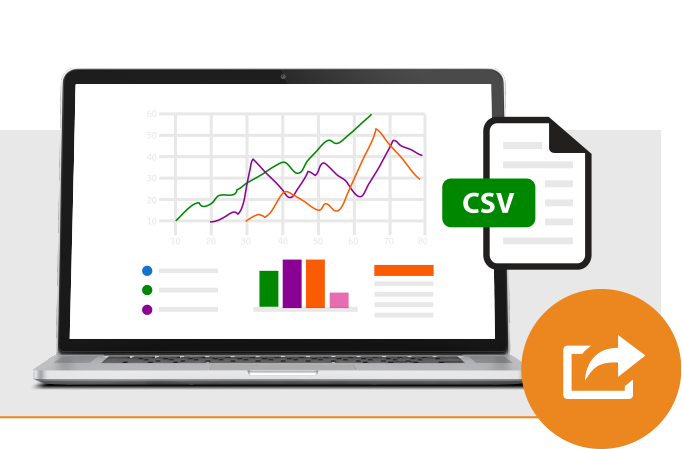 Once everyone has voted, press space, right-arrow or mouse-click (single press only) like you’re going to the next slide – your poll results will appear live in your PowerPoint slide! 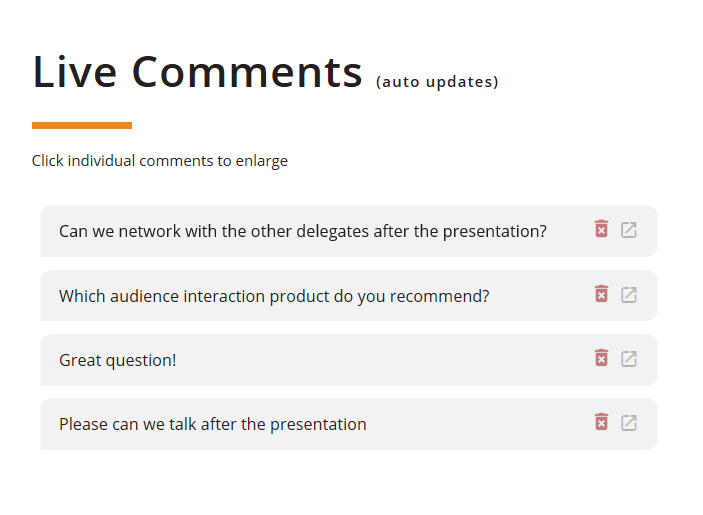 Go to My Account > Live Comments during your live presentation to view comments from the audience. It’s best to view them on a separate device such as your smartphone to avoid disrupting your presentation. Log in to My Account to view and download historic poll data and audience comments. 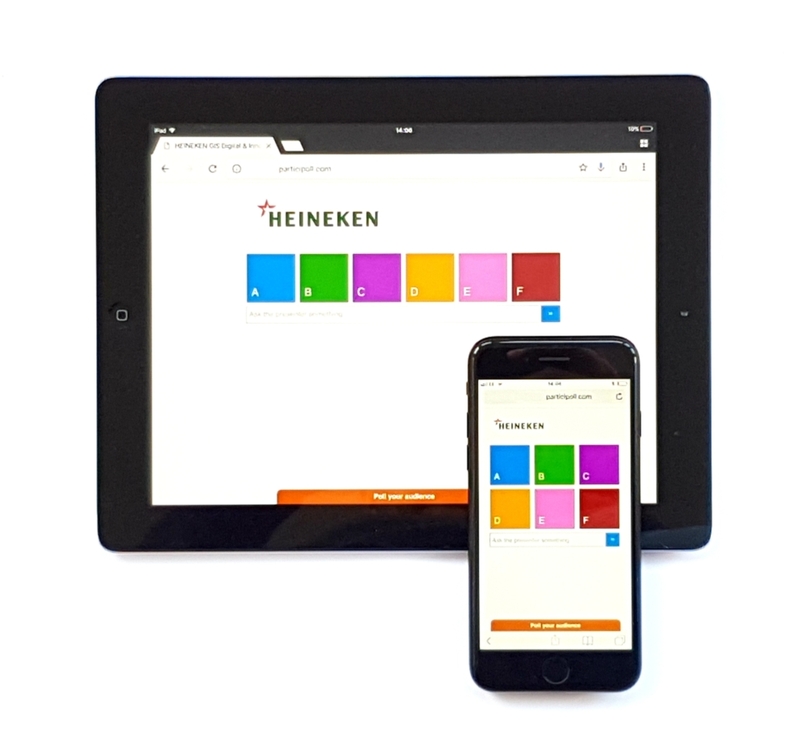 Visit My Account > Customise to add your logo, choose colour schemes and choose your voting page language.